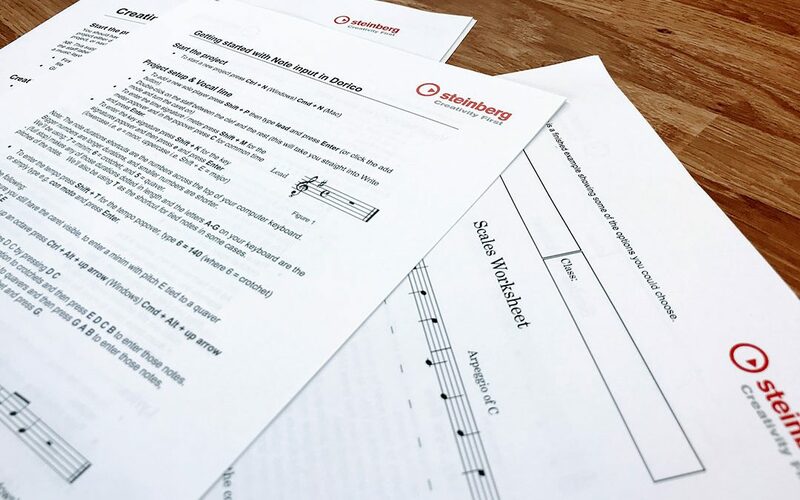 As the International Product Specialist for Dorico, I am often running training sessions and encouraging people to try Dorico for themselves – but once you’ve downloaded the free 30-day trial, where do you start? 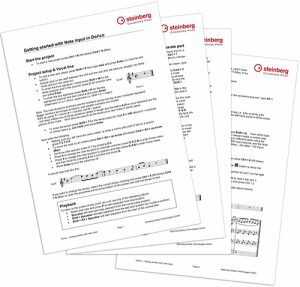 I, therefore, created a simple, guided PDF document, which tells you all the shortcuts you need and things you need to do to create a little four-bar piece of music for four string instruments and lead vocal including using voices (two simultaneous rhythms per staff), articulations, dynamics, chords and lyrics. Once completed I hope you then feel confident enough that you can find another piece of music to copy or input into Dorico. 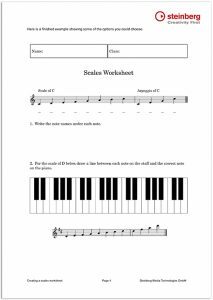 If you are also involved in education and need to be able to make worksheets or handouts, or would like to just investigate more of the Engrave mode options in Dorico, then you can also download this ‘Creating a worksheet’ package. It is a similarly guided file, telling you exactly what you need to do, either starting from the included time-saving template Dorico project, or completely from scratch. Just unzip the zip file to find the PDF and the template Dorico project. If you have any ideas for other guided examples like this, please let us know!